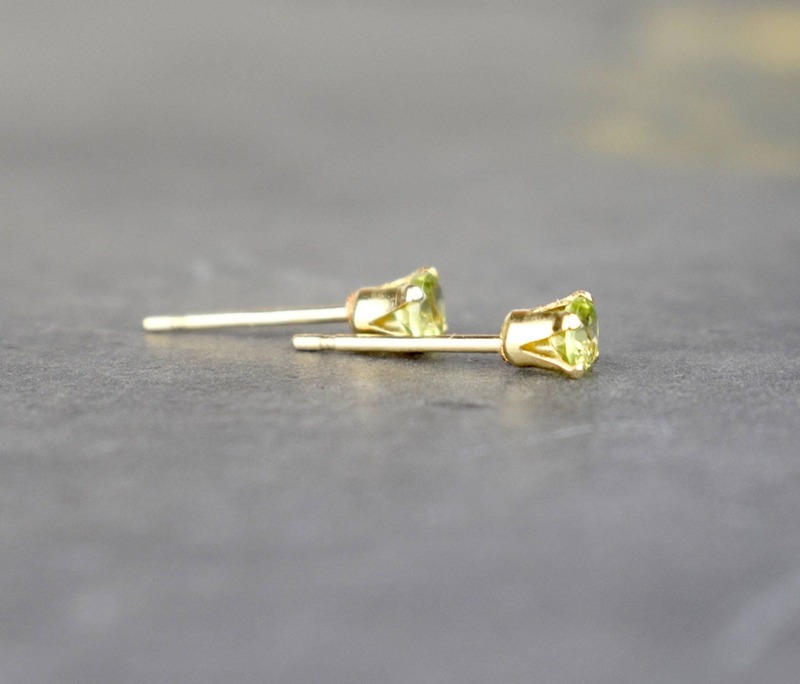 These tiny Peridot stud earrings are perfect for everyday wear. 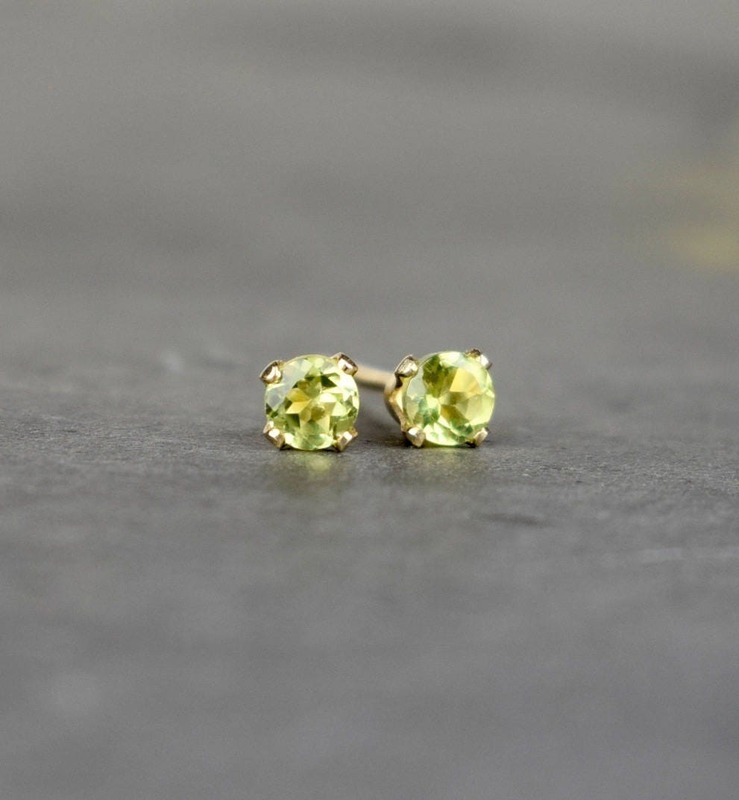 Designed with natural, green Peridot gemstones and paired with 14k gold filled claw settings, the studs have butterfly scrolls for backs which are also 14k Gold Filled. 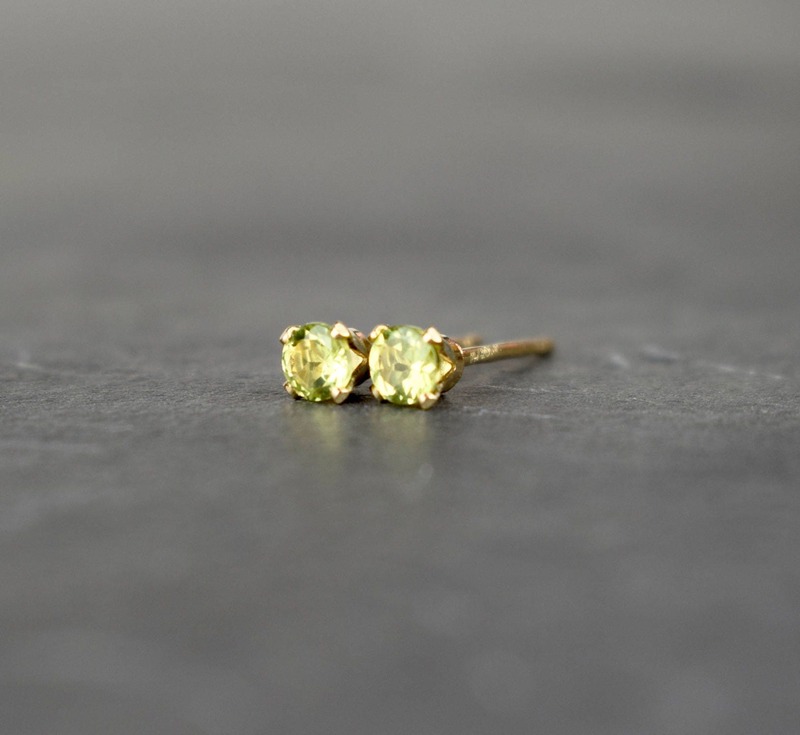 * The Peridot gems measure 3mm. 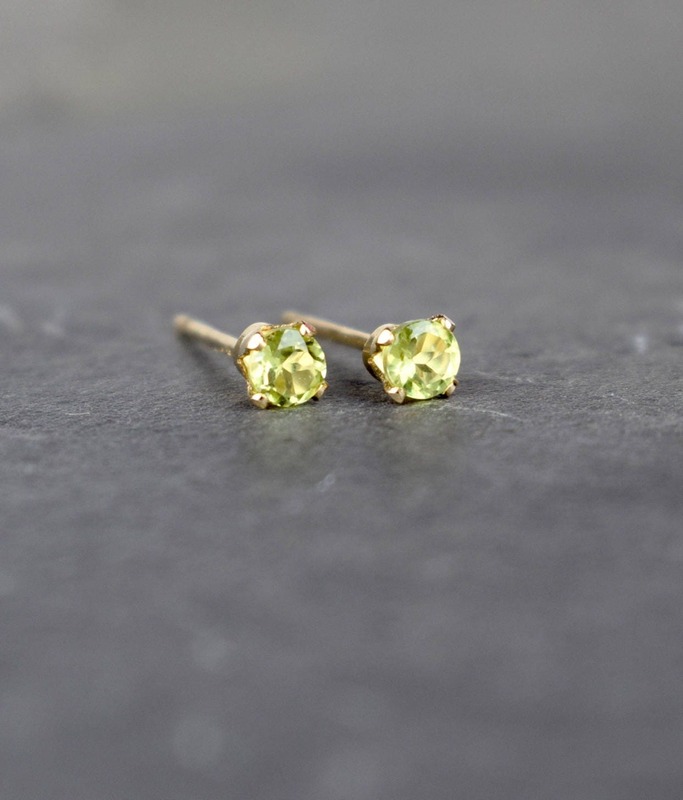 * Due to hygiene reasons we cannot accept returns on earrings. 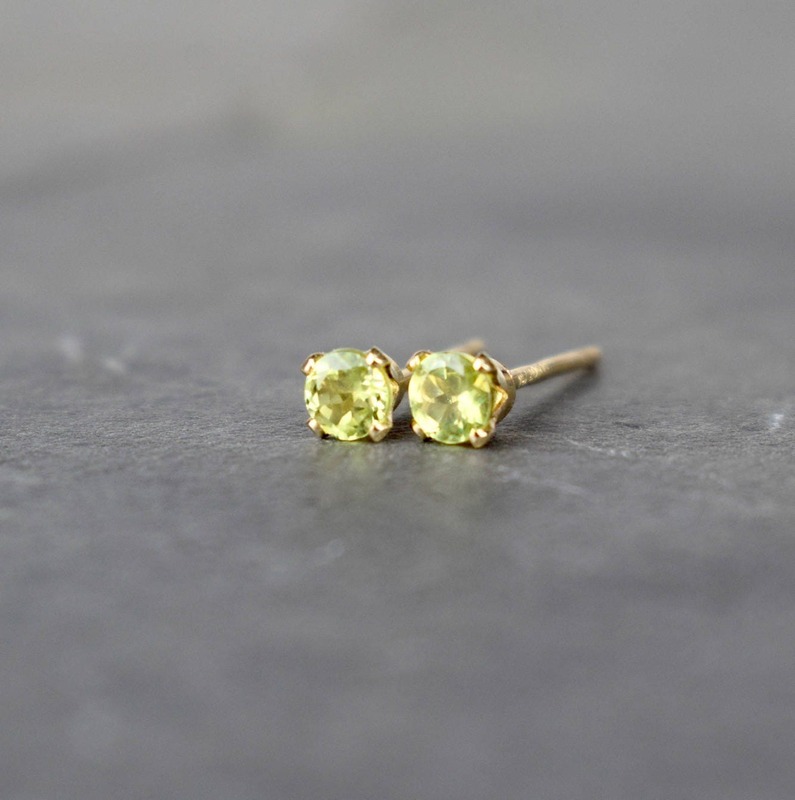 Your earrings will arrive in a Saturnalia Jewellery gift box.